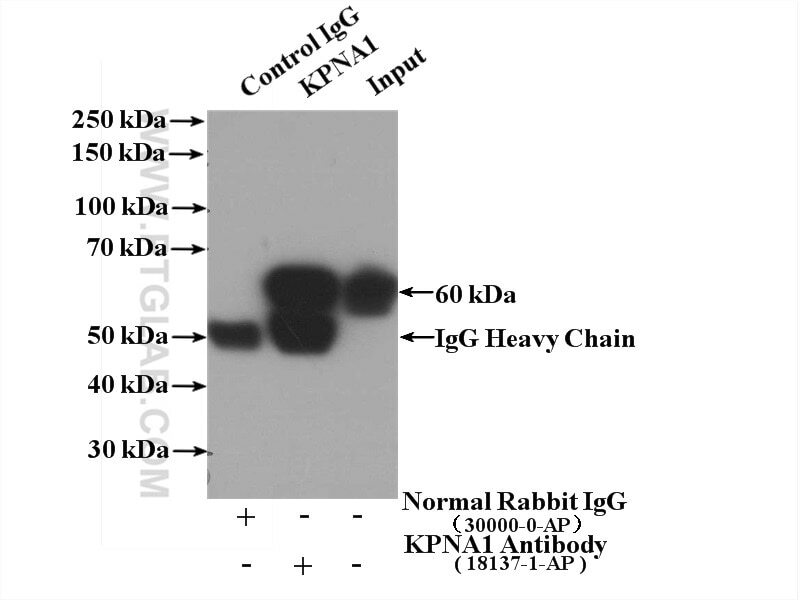 Immunofluorescent analysis of HepG2 cells, using KPNA1 antibody 18137-1-AP at 1:25 dilution and Rhodamine-labeled goat anti-rabbit IgG (red). 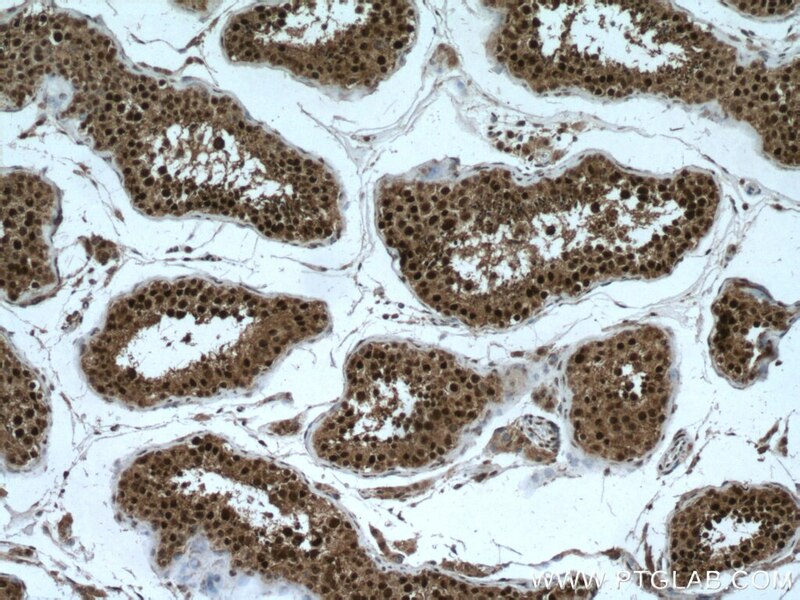 Immunohistochemical analysis of paraffin-embedded human testis tissue slide using 18137-1-AP (importin α5 antibody) at dilution of 1:200 (under 10x lens) heat mediated antigen retrieved with Tris-EDTA buffer(pH9). 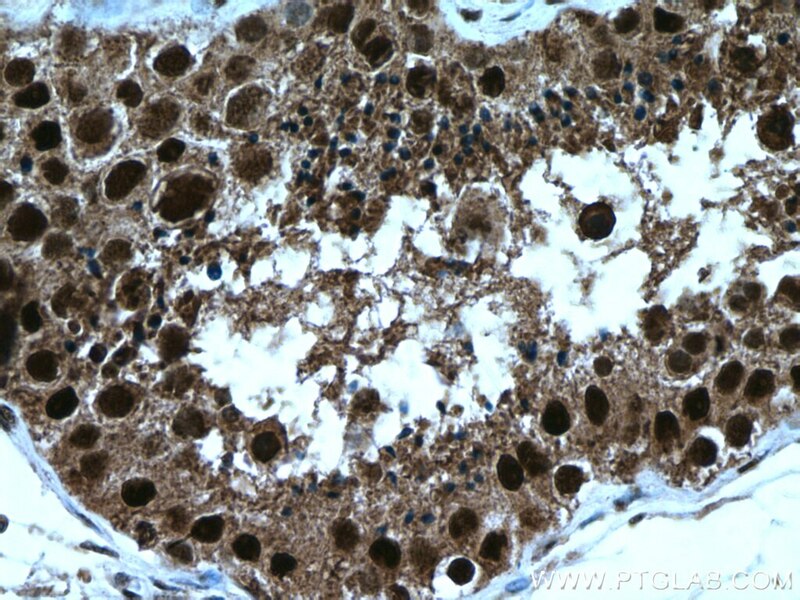 Immunohistochemical analysis of paraffin-embedded human testis tissue slide using 18137-1-AP (importin α5 antibody) at dilution of 1:200 (under 40x lens) heat mediated antigen retrieved with Tris-EDTA buffer(pH9). 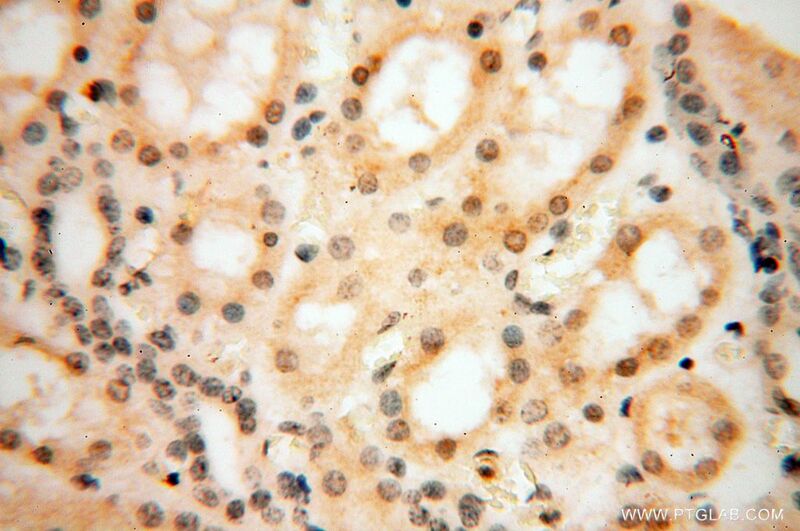 IP Result of anti-importin α5 (IP:18137-1-AP, 4ug; Detection:18137-1-AP 1:1000) with HEK-293 cells lysate 1480ug. 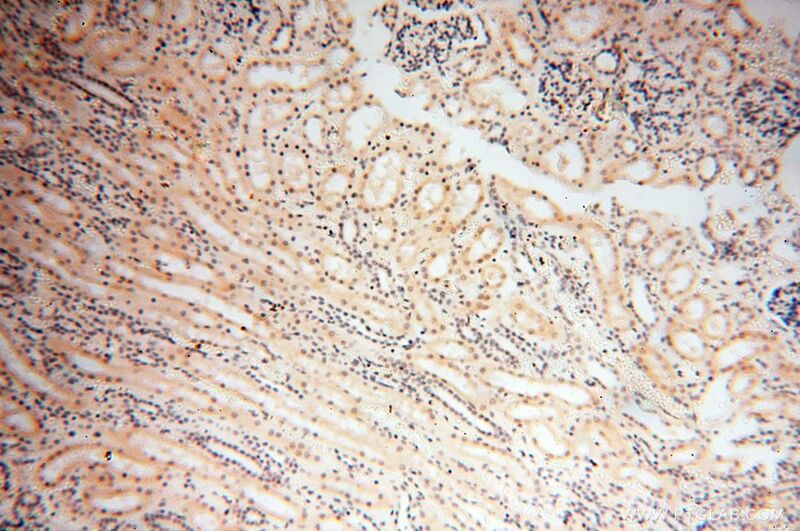 Importins (alpha and beta) are transport factors that transport proteins into the nucleus. 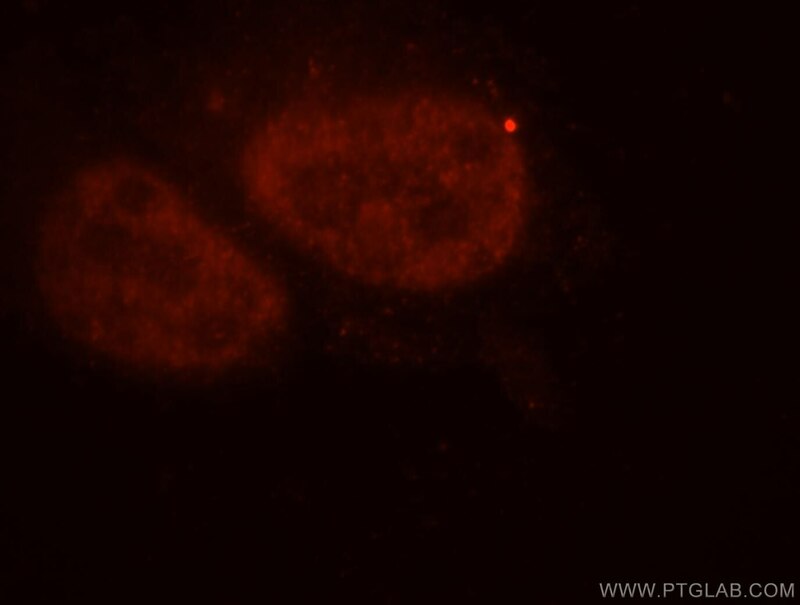 alpha importins function by binding transcription factors at nuclear localization sequences (NLS), and associating with importin beta subunits to translocate through the nuclear pore. Six isoforms of alpha importins have been described in human. 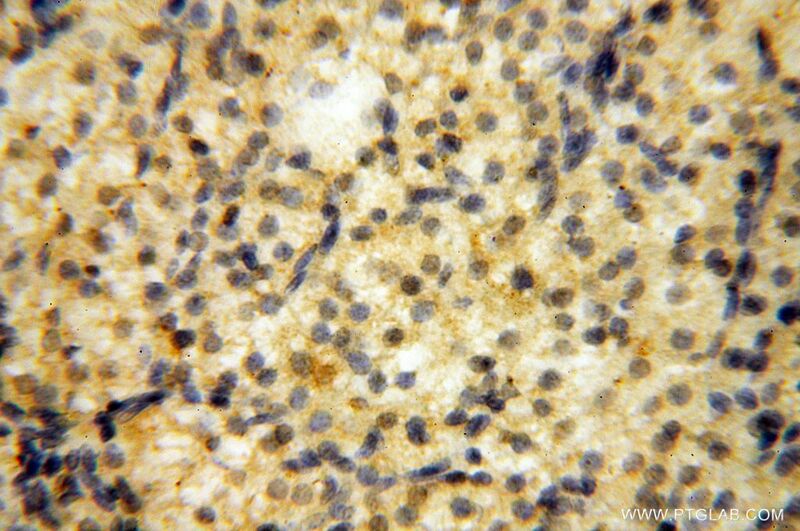 Importin alpha 5 is the predominant importin in adult CNS and is essential for differentiation and viability of neural cells. 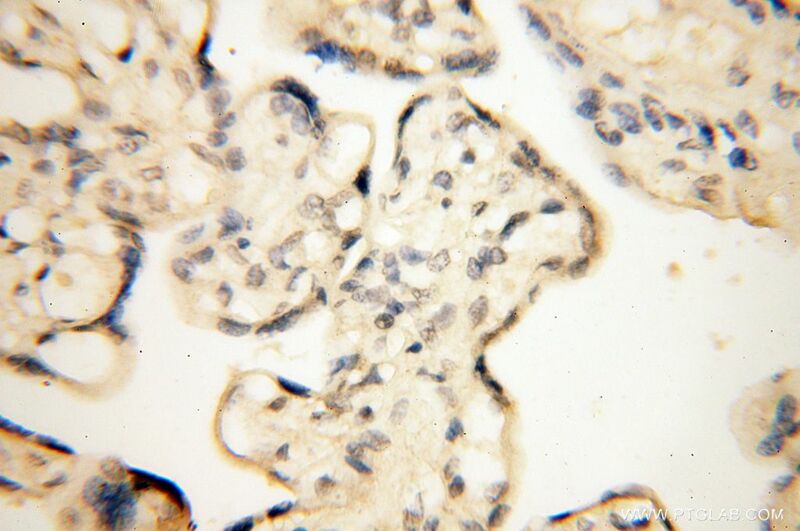 The Transcriptional Activator Krüppel-like Factor-6 Is Required for CNS Myelination. Karyopherin Alpha Proteins Regulate Oligodendrocyte Differentiation. 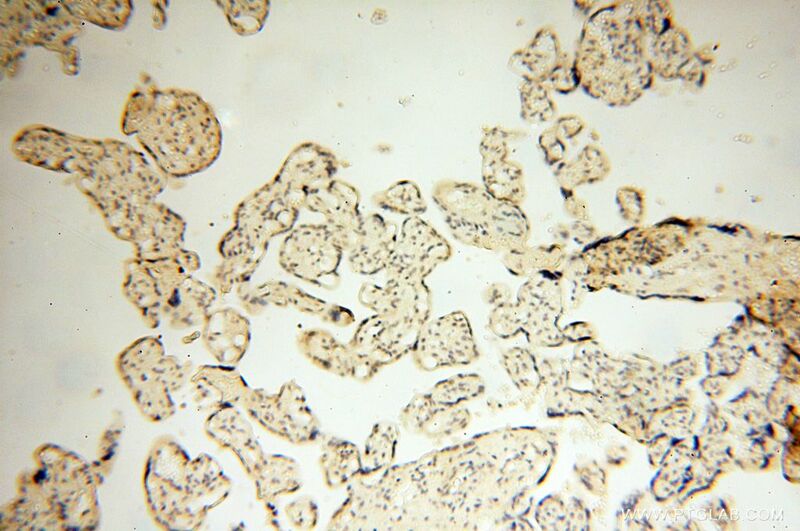 The subcellular distribution of HDAC1 in neurotoxic conditions is dependent on serine phosphorylation. 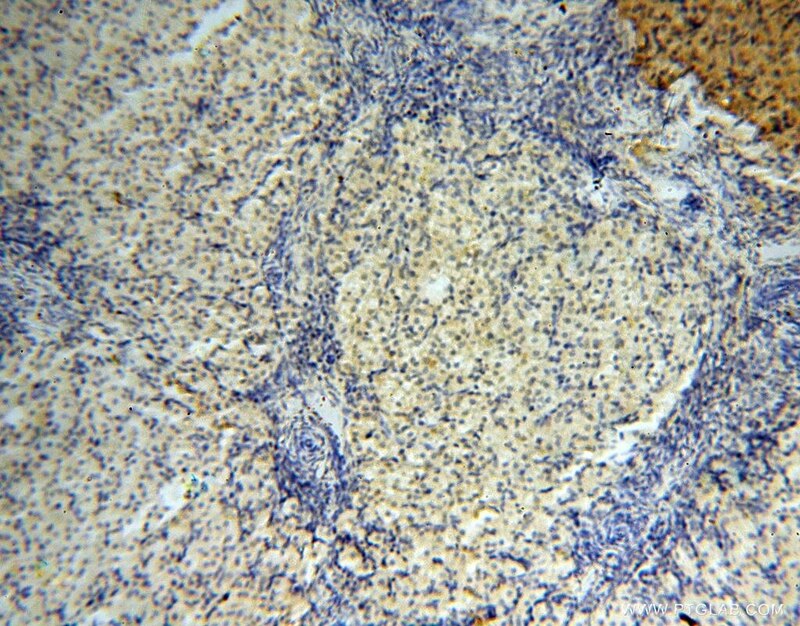 Tumor-derived exosomes antagonize innate antiviral immunity. Nuclear pore heterogeneity influences HIV-1 infection and the antiviral activity of MX2. Targeted disruption of one of the importin α family members leads to female functional incompetence in delivery. 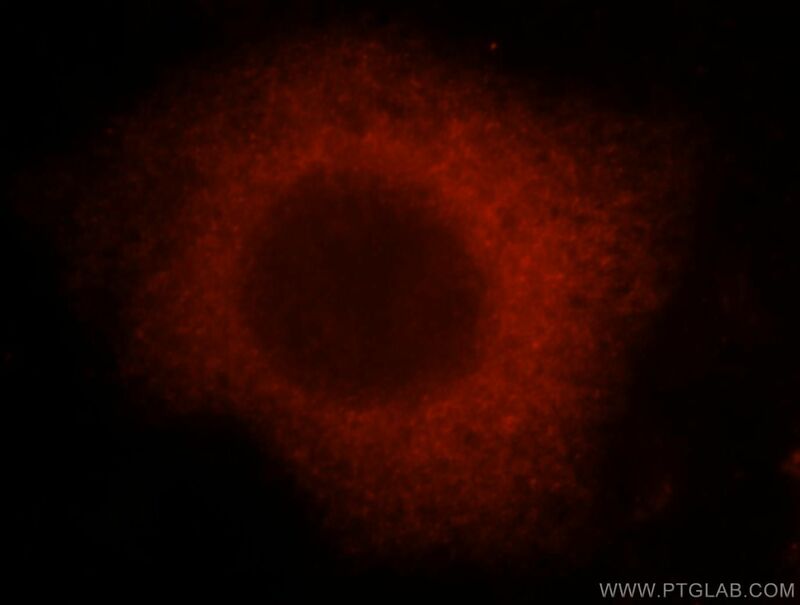 Immunofluorescent analysis of MCF-7 cells, using KPNA1 antibody 18137-1-AP at 1:25 dilution and Rhodamine-labeled goat anti-rabbit IgG (red).